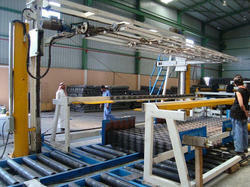 - Horizontal or vertical axis Spool / coil pay-off for smooth feeding of wire to galvanizing line. - Vertical drop coilers and Horizontal spool take-ups for colleting processed wires. - Individual pay-off + take-up operation. - Guiding rollers and pulleys are provided for smooth movement of wire. 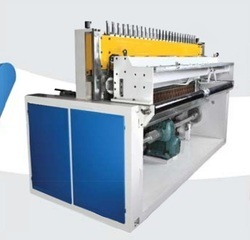 Comprehending the ever rising desires of our clienteles in the best possible manner, we are presenting Heavy Duty PVC Wire Machine.